As an active member in the WordPress community, I was able to take part in the latest major version release: WordPress 3.9. Changes in these areas were done in order to improve the user experience of WordPress site owners in the backend. 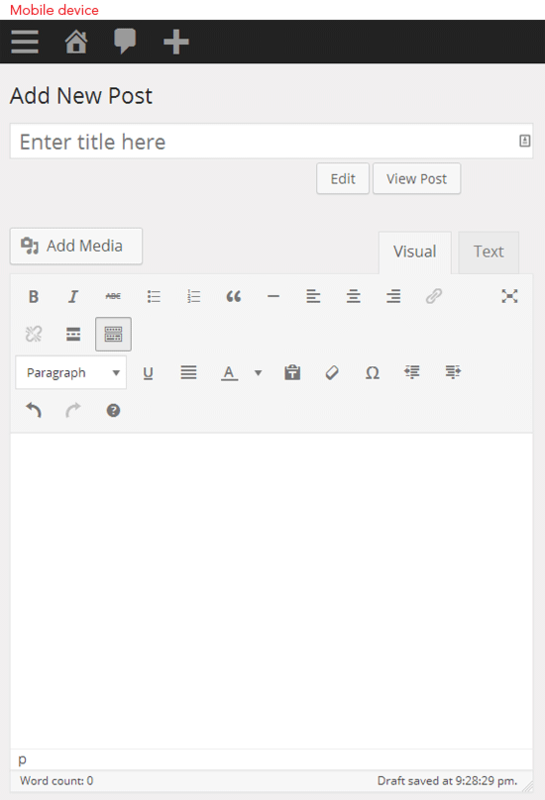 With this newest version of WordPress, more than 200 changes were introduced. Let us discuss some of the big changes. Usability is a very important topic for us, especially when it applies to the speed, accessibility and mobile support within a WordPress site. For media files (images, audio and videos) there is now drag-and-drop functionality for the visual editor that allows you to drag files more easily from your desktop and drop them into a post. However, not all web browsers support the drag-and-drop interface. If media files still need to be uploaded manually, the Plupload library (version 2.1.1) is now appointed as the default manual uploader. Editing images can also be done more effectively within the visual editor. This is an attractive new inclusion for both new and experienced WordPress users as they no longer need additional image-editing software to perform basic photo edits such as resizing, cropping, rotating, etc. In addition, copying text from Microsoft Word into WordPress’s visual editor is now easier because you no longer have to remove a lot of extraneous code and formatting generated by Word. As all web designers and developers know, images and video are two key factors that help attract and retain website visitors. 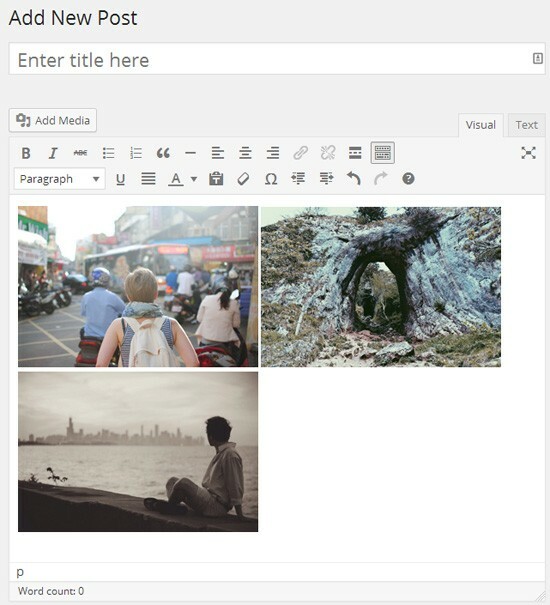 Now, galleries can be managed within the visual editor as a grid, just as they would be viewed in a published post. Video playlists can also be created via the media uploader. When properly applied, these features allow users to generate more interest within their site. 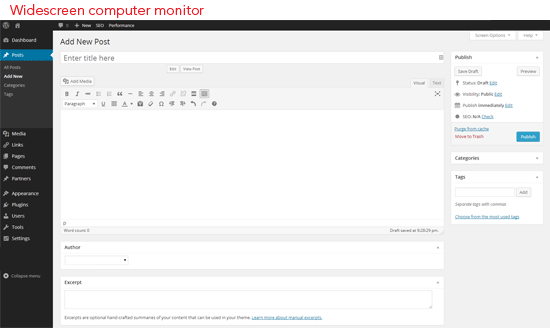 Previously, WordPress users were operating within a widget interface that employed drag-and-drop functionality. While this option was extremely useful, all changes were automatically saved without the ability to preview the changes. One of the most useful features of WordPress 3.9 is the new widget interface that enables the ability to see a live preview of changes within a preview pane in the same window before any changes are saved. You can see a demo/tutorial of live widgets via this YouTube video by Catalyst Design. Due to the extreme success of the Widget Customizer plugin which offers this feature, it is now merged into the WordPress core. Users can add, edit and arrange widgets on a site within the theme customizer to see the changes immediately and without commitment, saving valuable time and frustration. Alterations are only made to the WordPress site once the user decides to save the changes. This feature is also available for the header image tool while customizing a theme. As alluded to earlier, there is such a large value in the ability to preview a change before committing to it. Using this idea, the ability to preview how a site will look with a certain theme has now been added to the WordPress framework. More detailed elements (like widgets) can be rearranged before the site goes live to ensure that the user is happy with the result, or if they need to search for a more relevant theme. The installation interface for themes has undergone a great change, which will be very apparent for those migrating from an older WordPress version to the new one. 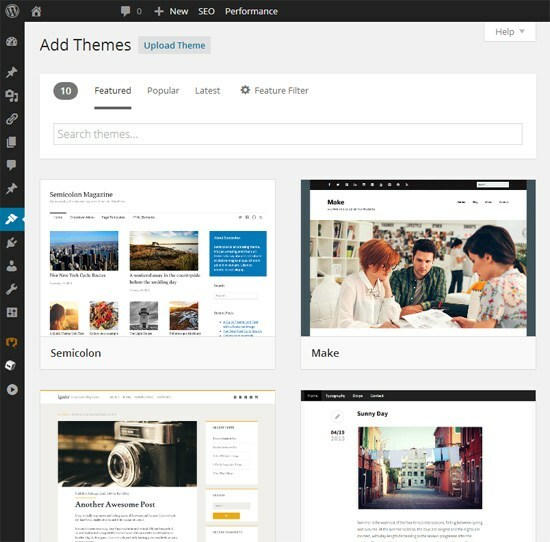 With more than 2,400 free themes available, choosing a theme can be intimidating and confusing for those who are unsure of the best option for their Web project. Within the new installation interface, there is a Featured tab which instantly showcases the most popular themes for users to quickly install without searching through thousands of options. I always encourage WordPress users to install the newest version as quickly as possible. Not only does the latest release offer improved usability and more attractive features, but it is also a way to make sure your site is as secure as possible.